Do you like some audio track or music in a movie? Now you can easy extract that audio track and convert to MP3 format. The following video formats are supported on input: AVI (DivX, xVid), MP4 (MPEG-4, H.264), WMV, MKV, ASF, VOB, MPG, MP2, MOV, FLV, SWF etc. In addition to the most popular MP3 format, it is also possible to convert to other audio formats. The following formats are supported: AC, AC3, AIFF, AMR, AU, FLAC, MP3, M4A, MP2, OGG, WAV, WMA. 1. 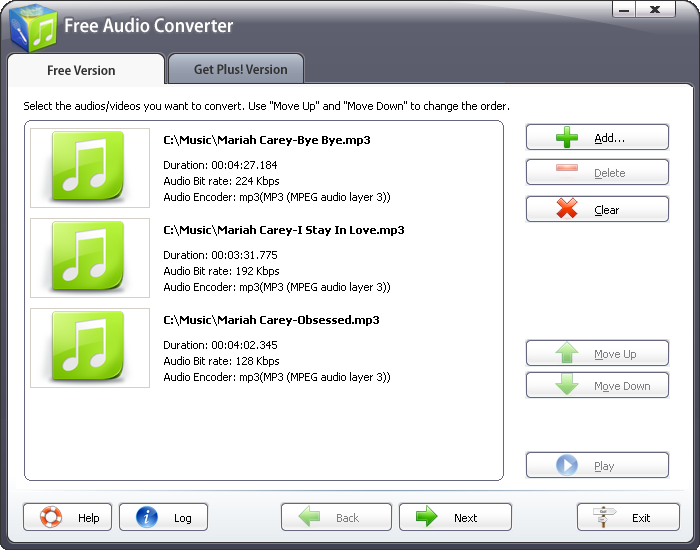 Convert movies to MP3 audio format. Additional output formats are: M4A, MP2, OGG, WAV, WMA, AAC, AC3, AIFF, AMR, AU, FLAC. 2. Convert one of the following video formats to MP3: AVI, MKV, MOV, 3GP, MP4, MPG, MPEG, AVM, ASF, WMV, AVS, FLV, DAT, OGM, VOB, RM, RMVB, TS, TP. 3. Easy setting. All you need is to choose the Quality of MP3. Other settings will be configured automaticaly. 4. Advanced options. If you are not a novice in audio processing, you can adjust audio bitrate, sample rate, channels and encoder. 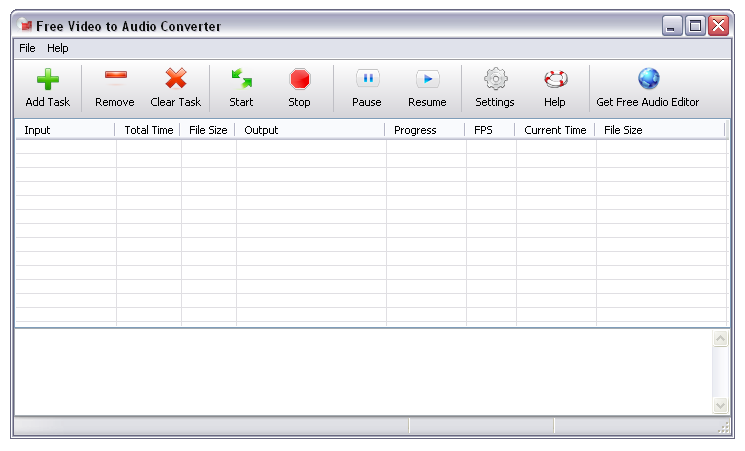 In addition, you are enabled to trim a part of the movie for conversion, and change an output volume. 4. Playback movies with integrated audio player. 5. Easy-to-use controls. User-friendly interface.